This digital breakout can be used with Google Drive or Google Classroom. It is perfect for 1:1 and going paperless! 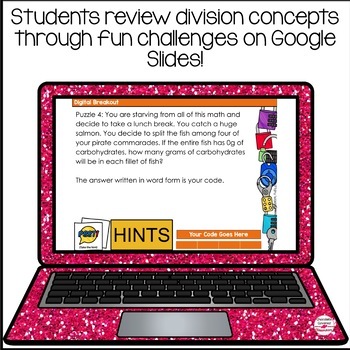 This fun, engaging, low prep activity is perfect for reviewing your math unit! Kids will have fun while reviewing their division concepts and practicing important skills such as teamwork, critical thinking and problem solving. 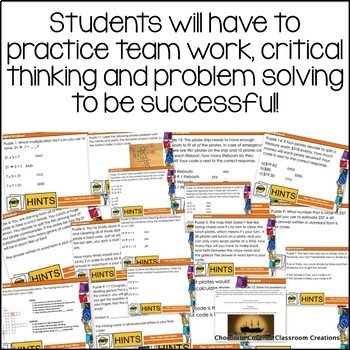 Students will practice concepts such as mental math, long division (3 digit divided by 1 digit) and word problems. 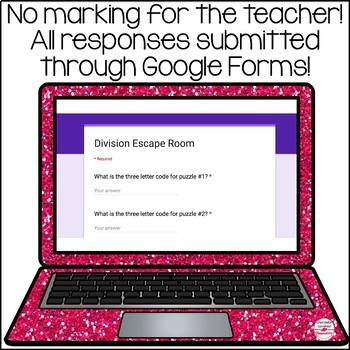 Best of all, since this escape room utilizes Google Forms, there is NO MARKING for the teacher! Sit back, relax, and enjoy watching your students breakout of this math escape room. A Google Form that self checks so that there is no marking for you! 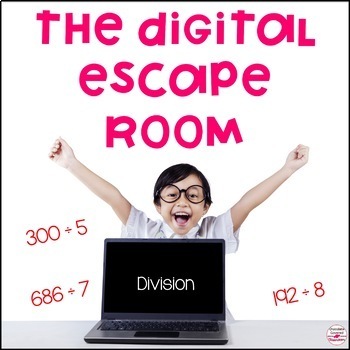 Instructions on how to assign the digital escape room activity. If you have any questions, don’t hesitate to ask in the Q&A section and don’t forget to check out the preview! This product is perfect for Alberta and Canadian Grade 5 Math Classes! Don’t forget to check out my other products!